The symposium addressed the challenges posed to science in its role as a trusted source of evidence and expertise. Jointly published by ALLEA and the Bulgarian Academy of Sciences, the publication is divided into three sections. Each section starts with a keynote speech, followed by comments from two discussants, and concluded by a plenary discussion. 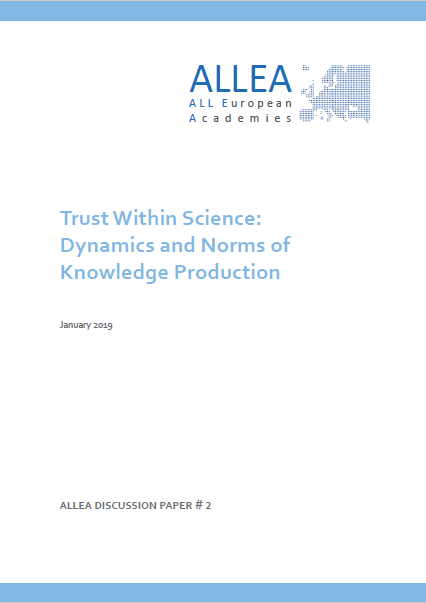 Contributors include fellows of academies, members of the ALLEA Working Group Truth, Trust and Expertise, as well as young researchers, covering expertise from a variety of geographical and disciplinary backgrounds.